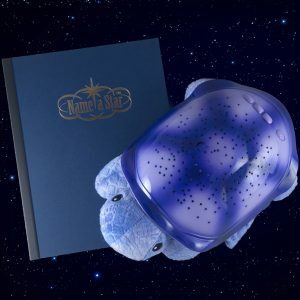 Gifts from Name a Star are perfect for everyone on your Christmas list! Shopping around for Christmas gift ideas and presents? Tired of the same Christmas socks, ties, and sweaters? Trouble finding the right gift for Mom, Dad, your brother or sister? 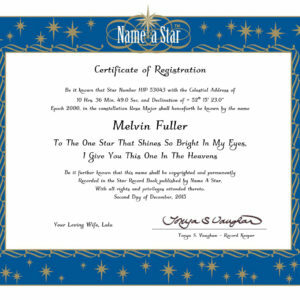 Give the gift of a star name and fulfill all your Christmas shopping needs. 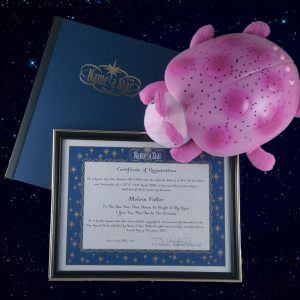 Star names are perfect for men, women, and children of all ages. Family, employees, and co-workers alike will appreciate the gift of a Christmas star. 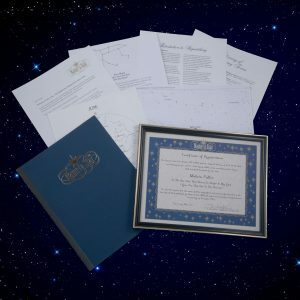 In addition to receiving a star of their own, the star recipient gets a Name a Star package that includes a certificate of registration, star charts, to find their Christmas star, and fascinating information on astronomy. 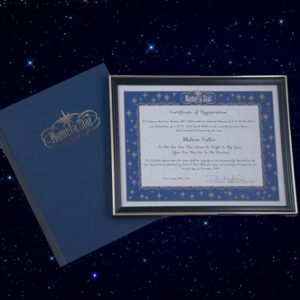 You can even add your own personal holiday message to the star certificate. 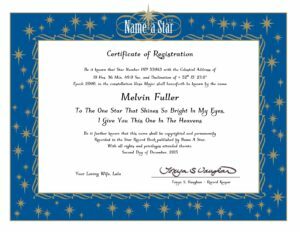 Dedicate a star name in honor of someone this Christmas. It’s fun, personal and unique, plus Name a Star is a quick and easy way to check off your Christmas shopping list! 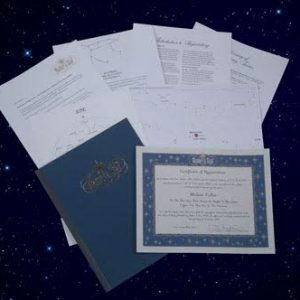 Name a star after someone as a Christmas gift from Name a Star – The Original Star Naming Service – Since 1978. 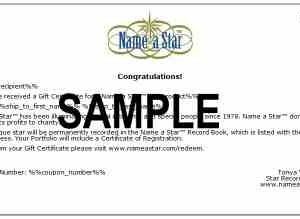 Choose your star naming package below and buy a star today for the ultimate Christmas gift.